Buy the complete range of 20 products all combined in 1 compact installation disc and SAVE R2100.00 ! Spaar 'n ongelooflike R1500 deur die 123 Slim pakket te koop en kry 15 programme ter waarde van R3000 saamgevat op 1 installasie skyf. Save R500 by getting this unbeatable combo! 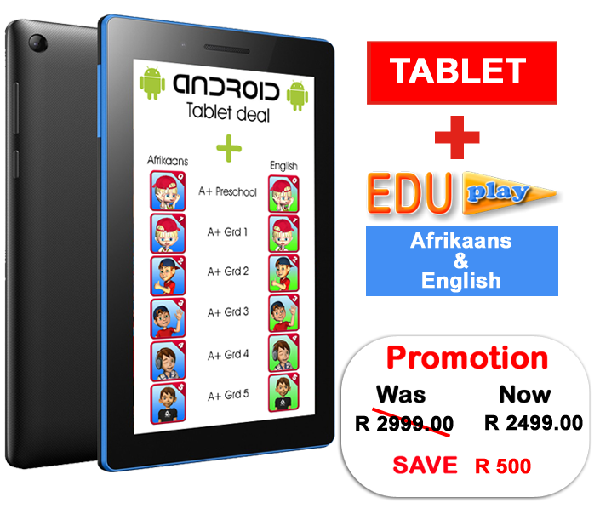 Eduplay's A+ Android apps (pre-school to grade 5 valued at R1200) are pre-installed on an Android tablet. Save an unbelievable R1500 by purchasing the 123 Smart package and get 15 programs to the value of R3000 in 1 great combo deal. 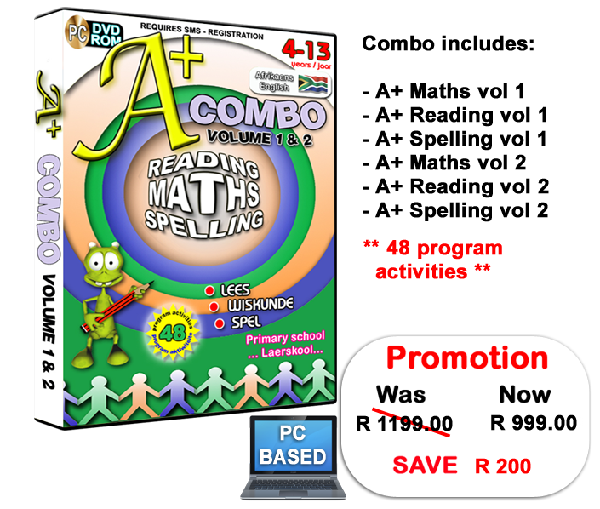 Buy both volumes of the Math, Reading and Spelling modules and save R200! 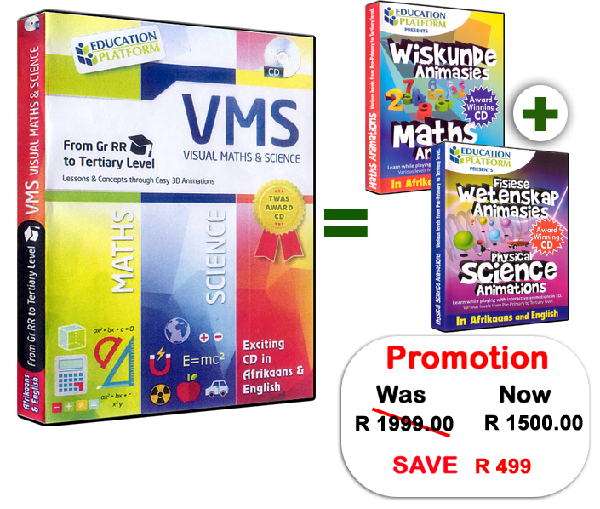 Buy the Maths/Science combo package and save!